Sleep. We all need it. But all sleep in not created equal. Rapid Eye Movement (REM) sleep is considered the most beneficial type of sleep (other types include Phases 1, 2, and 3 of Non-REM sleep). Everyone cycles through each of these sleep cycles when they sleep – and they’re all important – but REM sleep is the deepest sleep. REM is when brain activity increases and you dream. REM sleep is so valued by the medical community because it stimulates areas of the brain that are essential for learning and memory and allows the brain to recharge and refresh itself. Ideally, REM sleep makes up 25% of your sleep, but you do need to experience all 4 of the sleep cycles to get the most benefits from your sleep time. So, how can you get more REM sleep? A big part of how well you sleep comes down to your sleep environment. It should be comfortable, quiet, and dark, but the most important factor may be what you sleep on. According to the National Sleep Foundation, 93% of Americans rated a comfortable mattress as essential to good sleep. It is all-natural. Scents can disrupt (or enhance) sleep. Synthetic mattress materials are often treated with chemicals, which can “off-gas” and leave an unpleasant odor, leading to poor sleep quality. Wool mattresses do not require these chemical treatments. It regulates body temperature. Another big sleep disturbance? Being too hot or too cold. Wool naturally wicks moisture away and thermo-regulates the body so you never feel too hot, too cold, too clammy, or too sweaty to get the rest you need. It is hypoallergenic. Dust mites are a huge allergy trigger for millions of people – and they live in the highest concentrations in your mattress. Dust mites need moisture to survive and wool naturally wicks moisture. That makes wool mattresses too dry for dust mites to take hold. It provides natural support. Wool is very resilient. Its natural cushioning helps relive pressure points and muscles aches while still remaining firm and supportive, even after several years. 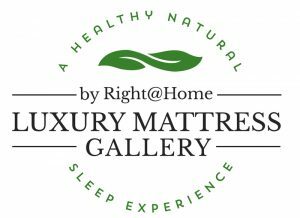 If you haven’t been sleeping well and think your mattress may be to blame for that, visit Luxury Mattress Gallery in Altamonte Springs, Florida. We have several wool mattresses to choose from and can answer all of your questions about whether or not a wool mattress is right for you.